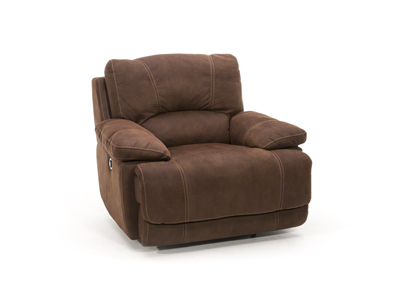 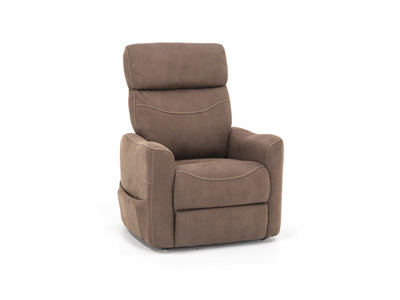 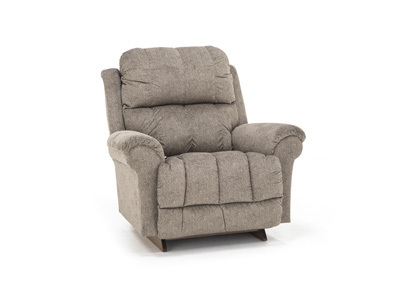 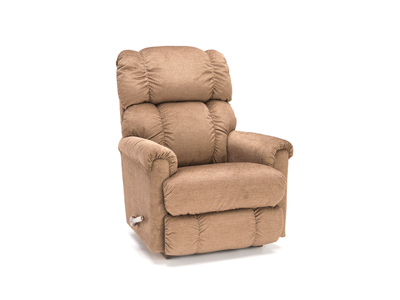 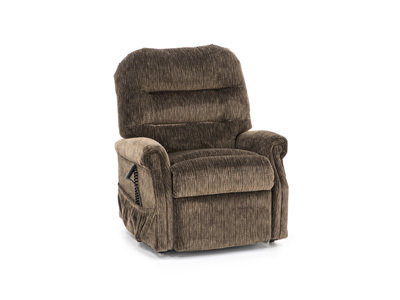 Find comfort at the push of a button! 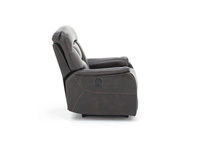 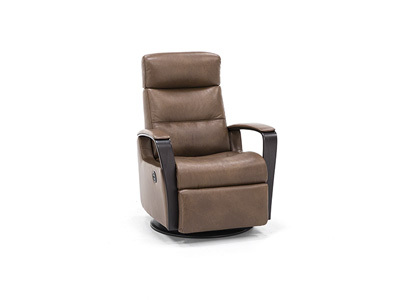 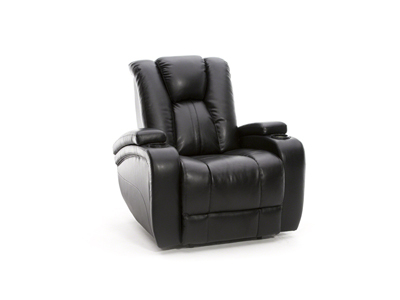 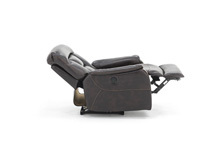 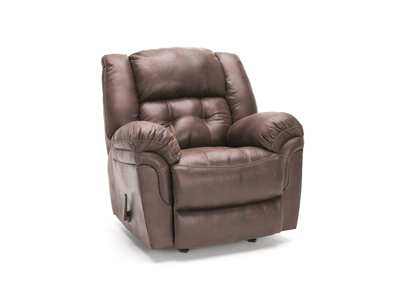 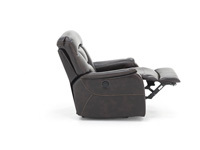 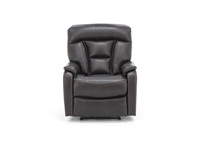 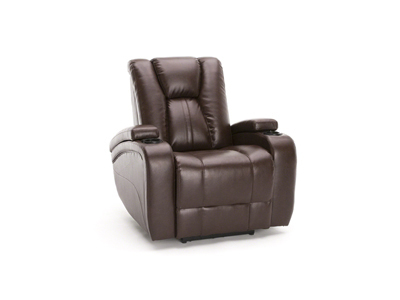 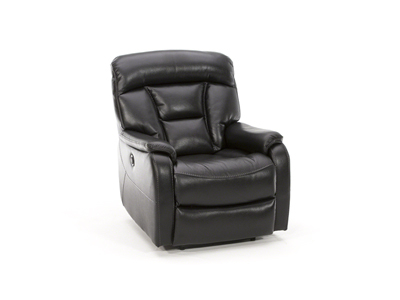 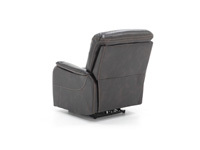 This black leather-look chair uses power to gently recline while cradling you against plush back cushions and sleek pillow-top arms. 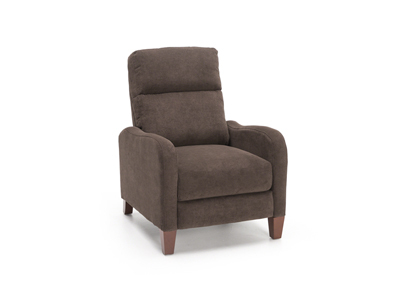 Contrast stitching adds a bit of contemporary style to the chair.